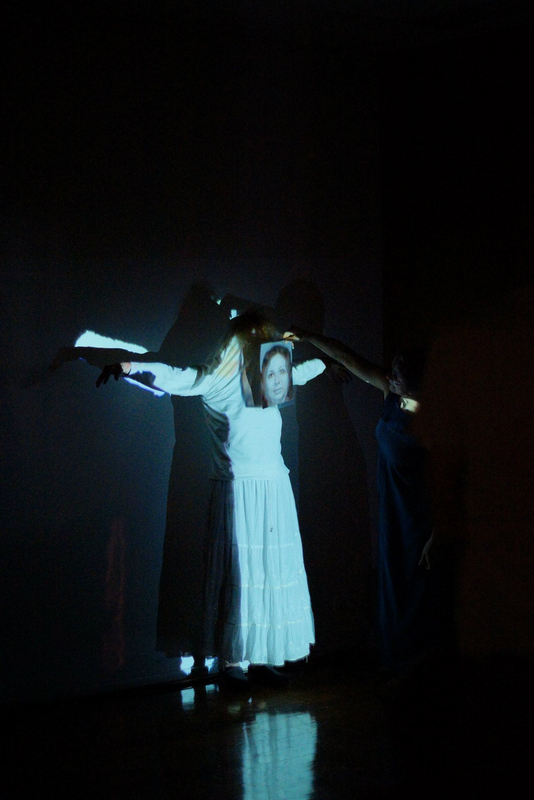 Performance> This month you will find Eleanor Jackson performing a work “specifically created” for you! A Timely Act of Intimacy and is a series of poetry based, proximity focused performances that consider the qualities of closeness, forced intimacy and genuine disclosure. The audience is invited one by one to sit for a short, individual performance. The 20 poems that form the suite have been specifically created for the EXIST @ Metro Arts program and look at issues of secrecy, disclosure, the privacy of the home, the unspoken ugliness of those we know closely, as well as the kind of cinematic beauty that comes from ungarnished view of those we love. 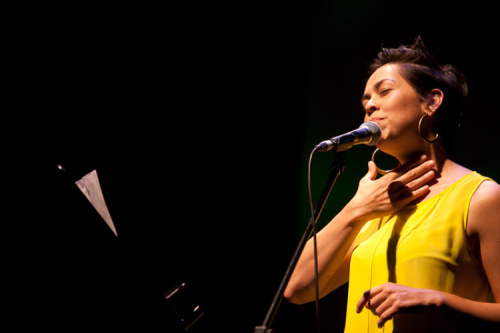 Eleanor Jackson is a Filipino Australian poet, performer, arts producer and radio broadcaster. As a poet and performer, Eleanor has been described as capable of creating, “powerful quiet”. Eleanor has performed at the Overload Poetry, Queensland Poetry, Sydney Writers, Melbourne Writers, Brisbane Writers, Anywhere Theatre and Woodford Folk festivals. Recent graduate from a Bachelor of Fine Art (Hons), Brisbane-based artist Kaye Stuart works with video and new media, mixed media and 2-D art forms. Through her own personal experiences of loss and grief she has created a body of work that explores the roles of women in modern society where certain stories of pain are unseen. She investigates issues of accessibility and visibility through a feminist lens, questioning the dominant patriarchal paradigm of accepted societal norms. Using a non-subversive approach to her work, she creates a video piece that reclaims the ancient art of storytelling to expose the raw, honest narratives of her subjects that reveal a hidden side to the world of women. Using a documentary-style approach to her filmmaking, she interviews several women, asking them to recount past traumatic experiences related specifically to taboo issues of the female body. The women’s faces are unseen, just as the stories they tell are generally unseen or unheard outside a close circle of friends or family. The women were filmed in a domestic area seated at a table. The space opposite the speaker is open and permits the viewer to be invited into the conversation. The invisible boundary between the viewer and the viewed in breached, allowing the audience access to a very private world. Through this work, Stuart questions why these stories are invisible and thus opens a debate about the status of women and the prominence of personal female experiences in a contemporary society. 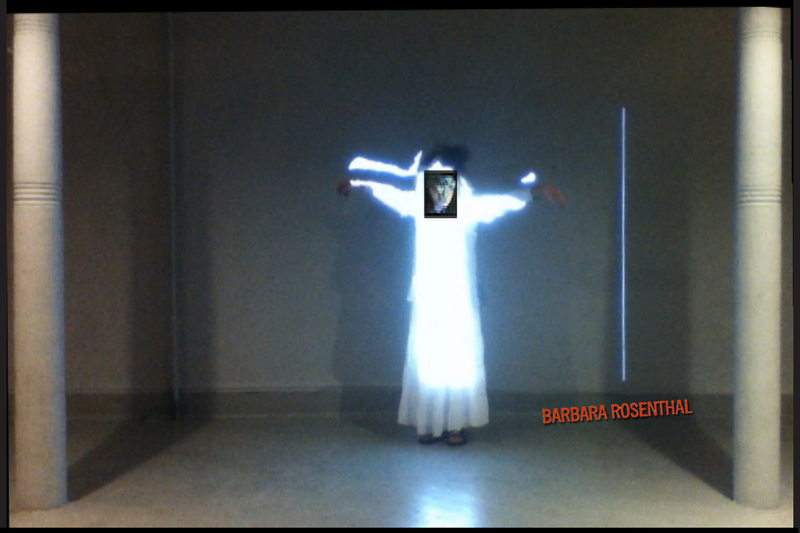 Having a career spanning over 40 years in Performance Art and Media, Barbara is currently an artist in residence at emedia loft in NY, currently exhibiting in three NY galleries: Stux, Central Booking, and Peanut Underground Art Projects. 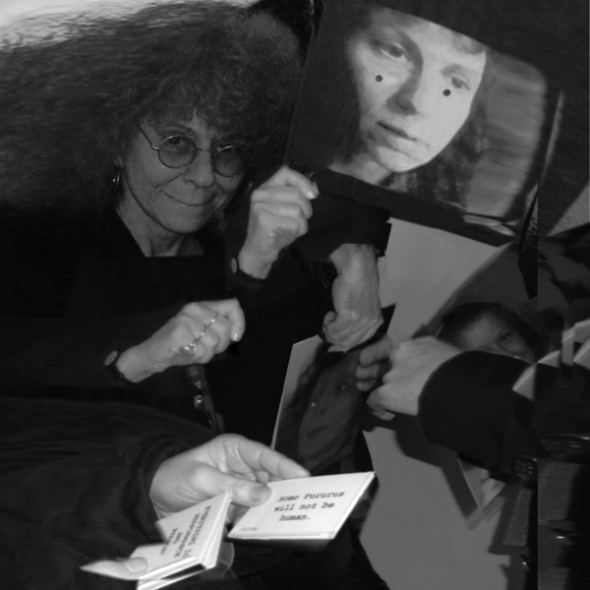 Her works are held at the Whitney Museum of American Art and the Tate Britain Library. The press is already in, please see articles below on her Australian tour. Thurs, Sept 19, 5pm, VCA Victorian College of Art, . BRISBANE: – FOR THOSE IN BRISBANE – SAVE THE DATES AND STAY TUNED FOR FULL DETAILS ON ALL EVENTS NEXT WEEK!! !